Looking for sun, sand and surf? Our top picks for the best family beach vacations will make the summer extra memorable. 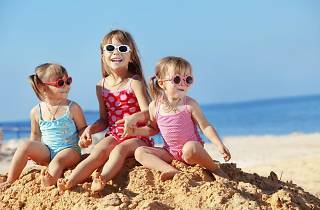 Sand castles, sun glasses and boogie boards, oh my! When summer vacation strikes, kids (and parents) are ready to take full advantage of warm-weather adventures. 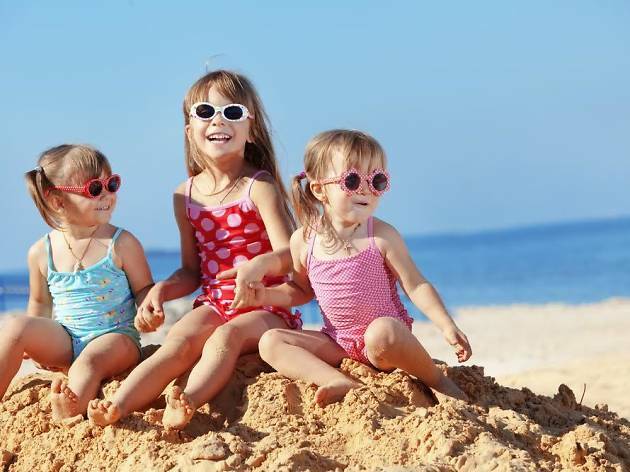 Don't wait: Summer's right around the corner, and if you want to enjoy the sand between your toes, you'll need to book one of the best family beach vacations ASAP! Getting out of town? Check out the best all-inclusive family resorts, pitch a tent at one of the best family campgrounds near NYC or take a weekend trip to uncover the most delicious strawberry picking in New York. What's not to love about a town with a choice of three beaches, a lighthouse and an authentic fishing village? 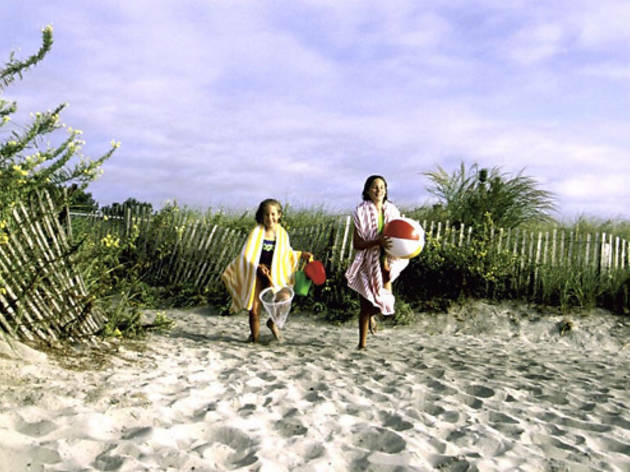 Thanks to these features (and so much more), Narragansett ranks high on our list of the best family beach vacations. Narragansett Town Beach's North Atlantic waves are perfect for surfing and boogie boarding. However, families with younger kids might prefer Roger W. Wheeler State Beach for its invitingly calm waters, playground and bathhouse. Don’t miss a visit to Galilee; the small fishing village has an active marina, fish markets and tons of seaside charm. Take a short excursion to Westerly for another historic landmark, the Flying Horse Carousel—a guaranteed hit with the kids. When you get hungry, hit up Galilee’s Buster Krab’s Beach Bar and Grill for burgers and fresh seafood. After a long day, call it quits at a room in the family-run Anchor Motel across from Scarborough Beach. The Anchor Motel, 825 Ocean Rd, Narragansett, RI (401-792-8550, theanchormotel.com). 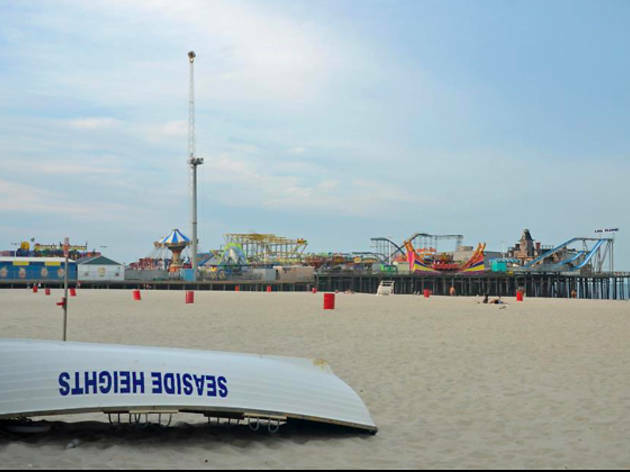 Famous for its soft, white sand, vibrant boardwalk and can't-miss amusement park, Seaside Heights is like Jersey Shore’s own Coney Island. Float and play in the calm waters of the bay or surf along the beach. Try fishing, standup paddle boarding or a combination of the two. 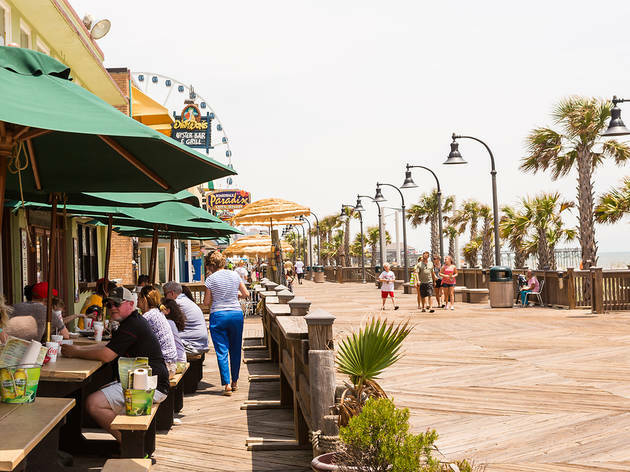 Grab snacks on the go along the boardwalk, and for a heartier meal, sit down with the family at Bobber’s Family Restaurant, known for its yummy breakfasts (we can't resist Cinnamon Swirl French Toast). Fall asleep to the sound of crashing waves at the Boardwalk Hotel Charlee. 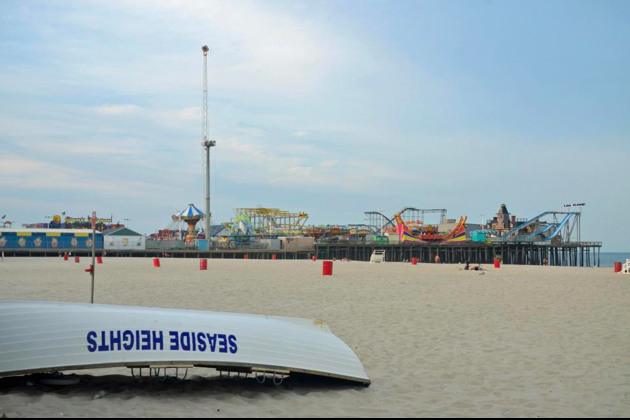 1119 Ocean Terrace, Seaside Heights, NJ (732-793-1735, boardwalkseaport.com). Bring the family out east for a weekend of beach hopping and fresh seafood. For gentle waters and a walk along the jetty, visit Gin Beach on the Block Island Sound, or bring a picnic and play on the playground at the Hither Hills State Park beach, located on the ocean four miles west of the village. 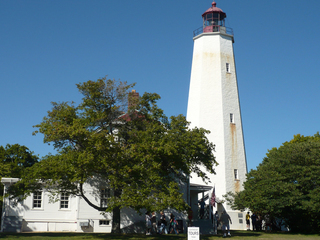 Roam through Montauk’s dunes and see the historic Montauk Point Lighthouse before dining out next door at the Lighthouse Grill, where you and your little ones can dance with an ocean view to live music on the weekends. 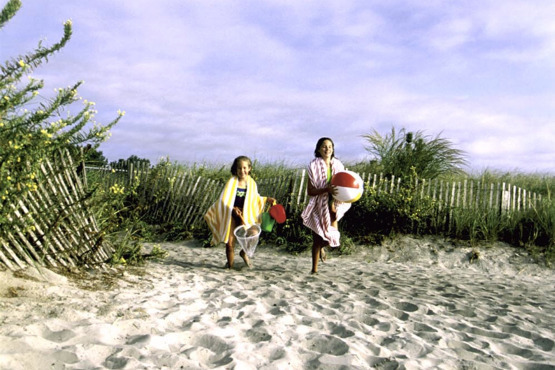 All this beach fun is sure to tire you and your family out, so retire to a local rental by Montauk Cottages at the end of the day for a true Montauk experience. It's pricey, but totally worth it. Various locations (203-852-9315, montaukcottages.com). 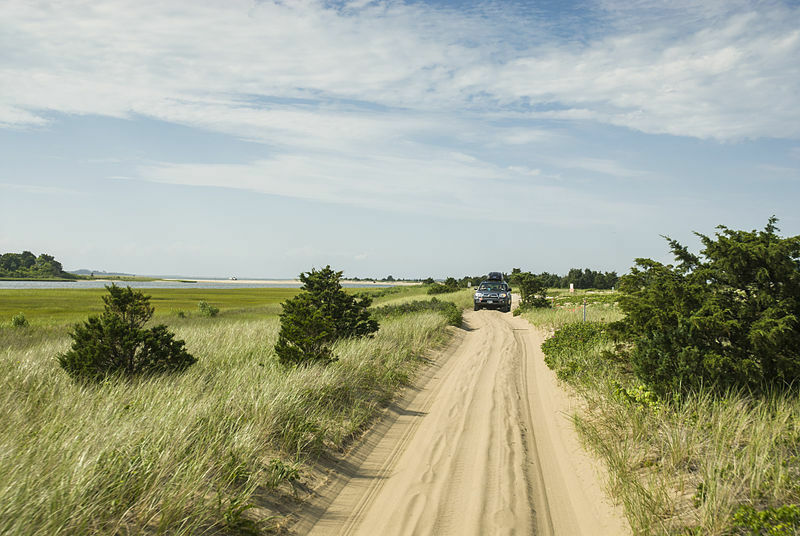 This old whaling port boasts four different public beaches, with East Beach in Chappaquiddick Island being a top choice, as its accessible by a less than three mile walk along a sand pit or a quick ferry ride. Nature preserves offer opportunities to find box turtles, birds and other wildlife. At the Martha’s Vineyard Museum, kids will enjoy hands-on arts and crafts and interactive activities focused on maritime history. (Just don’t tell them about a certain movie named Jaws that was once filmed here!) Grab a seat at the outdoor picnic table at Morning Glory Farm, which has a tasty menu filled with homemade baked goods and greens from its garden, and then rest your feet at Winnetu Oceanside Resort. Kids there will enjoy antique fire truck rides, face-painting, yummy treats and lawn games. 31 Dunes Rd, Edgartown, MA (508-310-1733, winnetu.com). This seashore town—located between the Atlantic Ocean and the Isle of Wight Bay— boasts white sand beaches and plenty of places to romp and play. 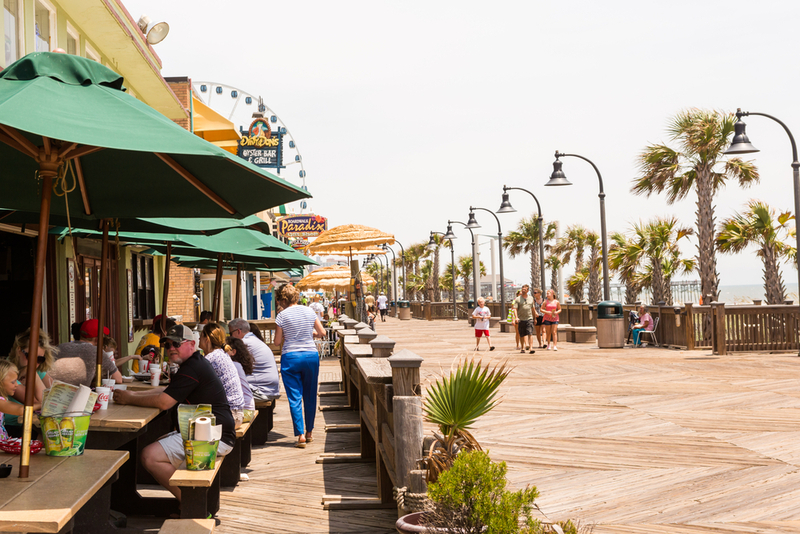 Stroll along the boardwalk a long list of food options when your stomach starts to rumble. Pop into Phillips Seafood for all-things crab. For other kinds of fun, take a break with a ride on one of the 45 hand-carved animals on the historic Trimper’s carousel or cater to your inner thrill-seeker with a trip to Jolly Roger’s Splash Mountain Water Park. Spend your nights in Carousel Oceanfront Hotel & Condos, which features a kiddie pool, bounce house, game room and a pirate ship jungle gym. 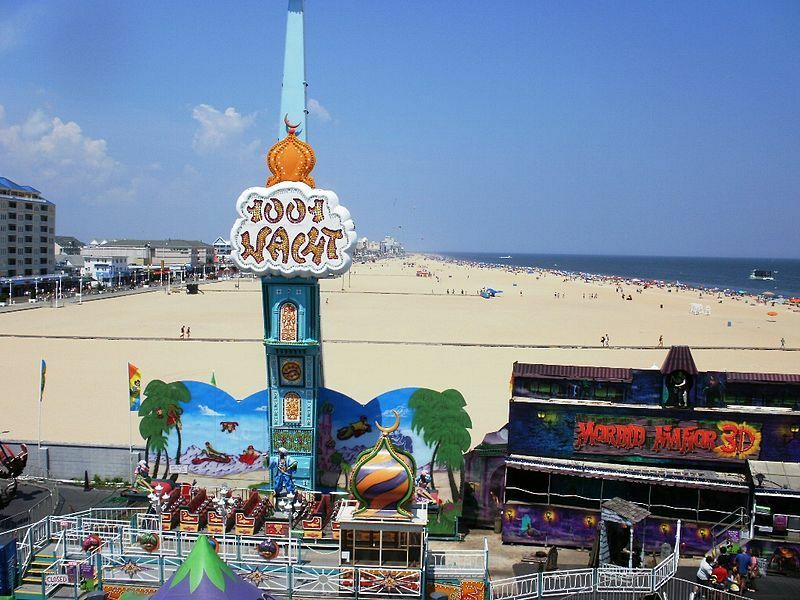 11700 Coastal Hwy, Ocean City, MD (800-641-0011, carouselhotel.com). This town has a whopping 60 miles of beach to explore! When you’re ready to try its other offerings, Myrtle Beach does not disappoint. Children’s Pirate Adventures treat kids to an interactive pirate adventure to search for treasure and ward of enemies with a water cannon. Practice your swing at Myrtle Beach Family Golf or catch a view of the ocean while dipping and turning on the rollercoasters at Family Kingdom. Grab a bite at Big Mike’s Grill (504 16th Ave N) and book a stay at Long Bay Resort, which comes complete with a children’s water park. 7200 North Beach Ocean Blvd, Myrtle Beach, SC (855-820-4751, longbayresort.com). 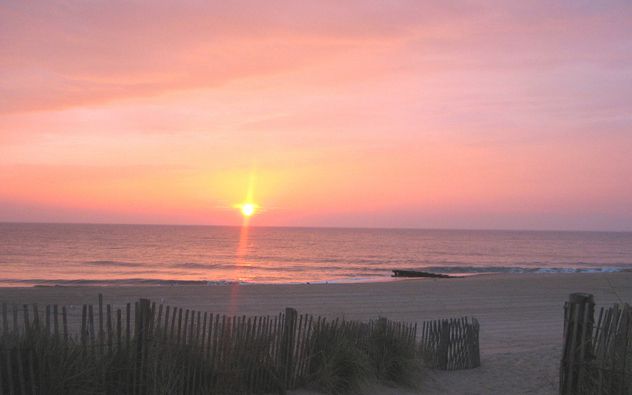 Normally a destination for summer beach trips, Cape May is also a great spot during the off season. In the spring, summer or fall, families can take a whale-watching cruise with Cape May Whale Watcher to catch a glimpse of dolphins, porpoises and humpback or finback whales. In cooler weather (or if there's a rain day during one of your family beach vacations), explore the town’s historic architecture on a Mid-Atlantic Center for the Arts tour. Big families can reserve a few neighboring studios with small kitchens at the Madison Avenue Beach Club, which also boasts an outdoor pool and hot tub. Thanks to the amenities at Congress Hall, parents and kiddos will love taking advantage of the pool (or spa) when they head back to the hotel after a day out. 200 Congress Pl, Cape May, NJ (888-944-1816, congresshall.reservations.com). After sunning yourself, swimming in the ocean and strolling the esplanade at Rehoboth Beach, make sure to rent bikes from Bike to Go (starts at $7, kids $6) and explore the Junction and Breakwater Trail, a 6-mile stretch of secluded woods and waterfront. There are plenty of quaint eateries in the area, but take the crew to Shorebreak Lodge for great seafood dishes like surf n' turf or shrimp and grits (chicken wings or a burger are good options for tykes). Round off the day by tucking in at the intimate Beach View Motel. 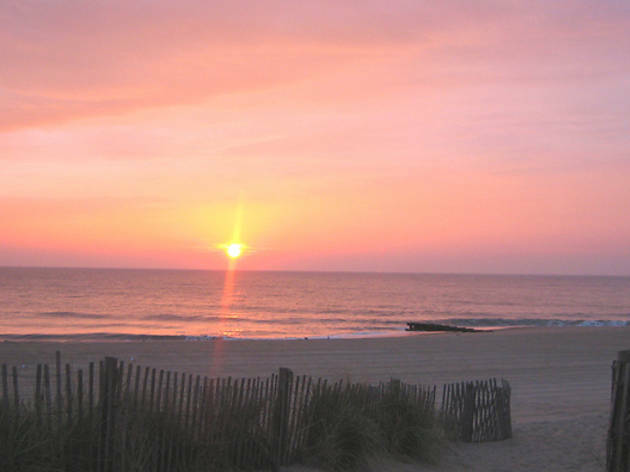 6 Wilmington Ave, Rehoboth Beach, DE (800-288-5962, rehobothbeachview.com). 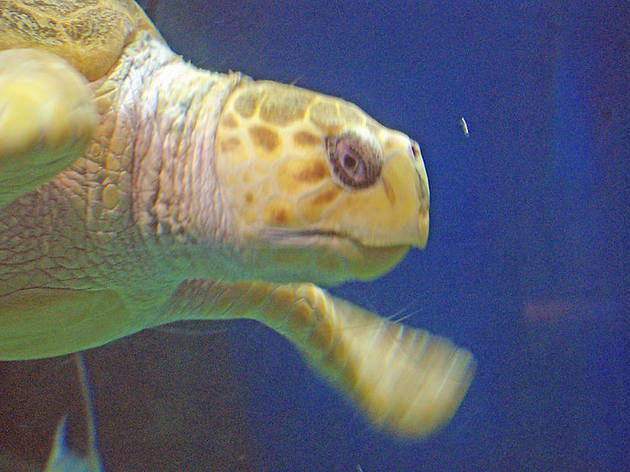 Aside from its three beaches, Virginia Beach has loads of fun activities, including Grommet Island Beach Park and Playground and the free admission Virginia Aquarium & Marine Science Center. Mary’s Restaurant is the spot for breakfast and lunch while Tautog’s Restaurant is must if you’re craving seafood by the seashore. Spend the night at The Oceanfront Inn when the crew is wiped out from a day of adventure. 2901 Atlantic Ave, Virginia Beach, VA (888-826-2326, oceanfrontinn.com). 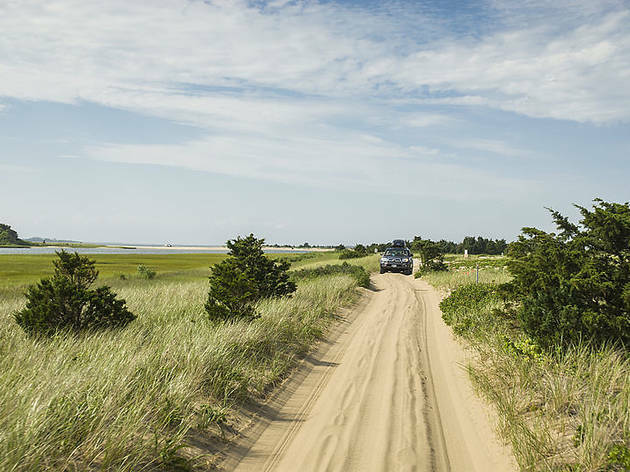 Rent a car and head to Sandy Hook for a beautiful, beachy getaway. 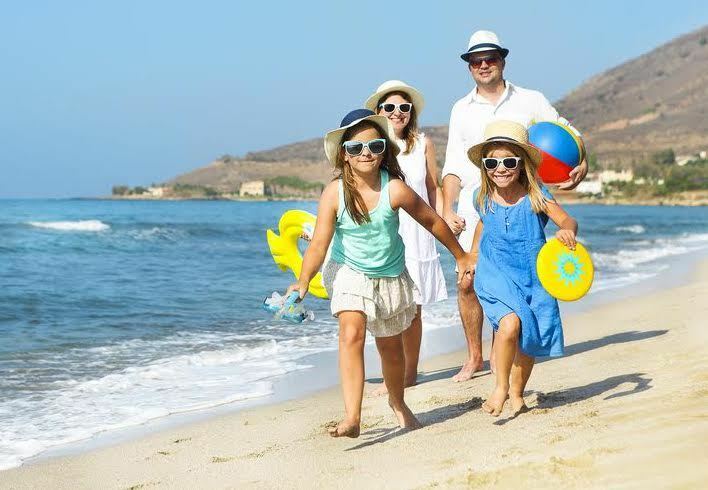 North Beach, South Beach or Fishing Beach are perfect for family outings. (Be forewarned: Parents might want to steer clear of the clothing-optional Gunnison Beach between North and Fishing Beach). Spend your afternoons checking out the Fort Hancock Historic District learning about local military history and climbing to the top of the Sandy Hook Lighthouse. For dinner out, drop by Matata for sushi rolls and other delicious Asian dishes. Stay at the local Comfort Inn for the best value—you’ll enjoy an outdoor heated pool, free hot breakfast and be within a 20-minute drive of all the action. Comfort Inn, 750 State Route 35 South, Middletown NJ (732-671-3400, choicehotels.com).